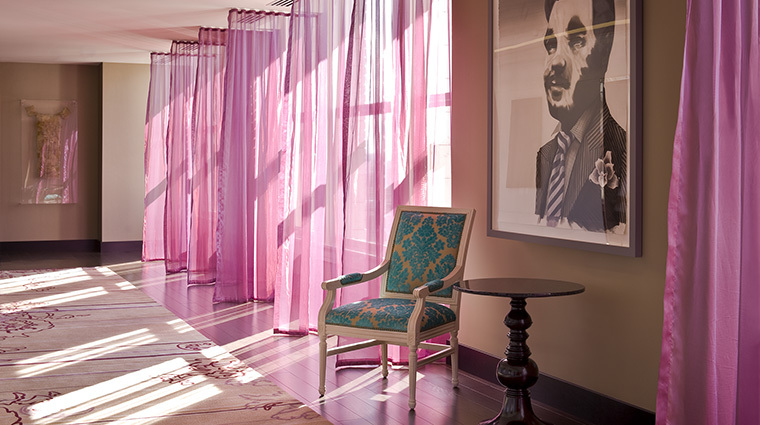 A luxurious spot in the center of downtown Portland, Oregon, The Nines, A Luxury Collection Hotel occupies the same historic building where Clark Gable once worked. The storied history of the building dates back to the early 1900s, when it helped anchor Portland’s downtown with the flagship Meier & Frank department store. Gable was destined for more, and as it turns out, so was the stunning glazed terra cotta building. Now inhabiting the top nine floors, The Nines boasts thoughtful, but subtle homages to its fashionable past with original art decorating its walls, elegant finishings in rooms and even the occasional artfully displayed mannequin. The Nines embraces the indigenous qualities of its surroundings with nods to the Pacific Northwest in the natural building elements and more than 400 commissioned pieces from local artists. In a city where rustic casualness is the de facto style choice, The Nines offers a much-needed dose of glamour. 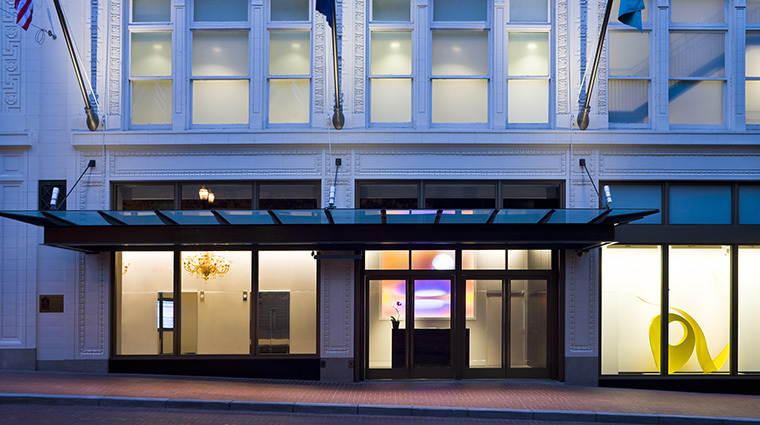 With Pioneer Courthouse Square, the city’s “living room,” across the street and world-class shopping and dining within walking distance from the Portland hotel, The Nines serves as an optimal home base for visitors to the City of Roses. 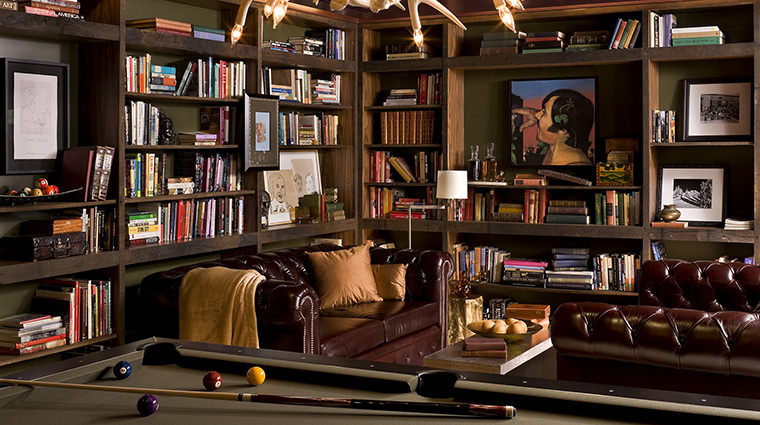 Be sure to find The Library, tucked into a private room off of the atrium. Accentuated with dark leathers and walls lined with bookshelves, it’s the ideal place to escape and dive into one of the 3,000 books from the legendary — and local — Powell’s Books. 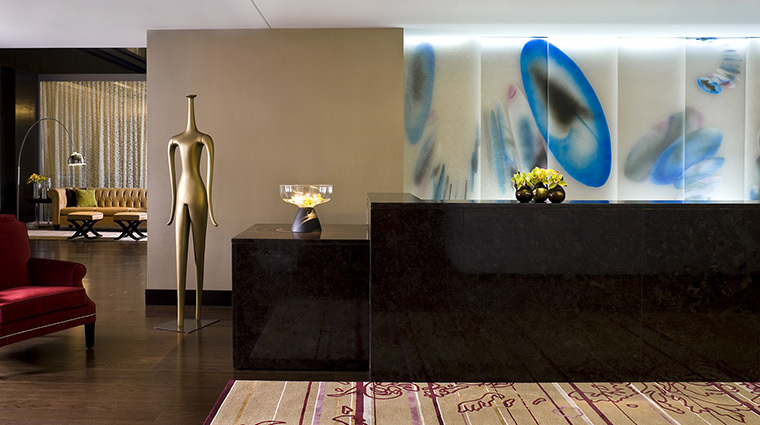 The Portland hotel’s extraordinary collection of local art features more than 400 works displayed throughout the property. The knowledgeable concierge team can help you with anything within the hotel and beyond. They’ve been known to arrange day trips to the mountains, wine country and beyond. 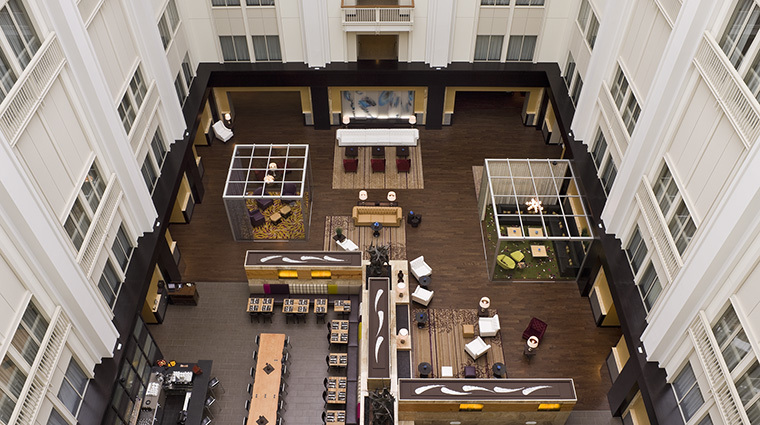 The Nines is a LEED Silver Certified hotel implementing such practices as installing energy-efficient elevators, growing herbs and mushrooms on-site for the restaurants and introducing rooftop beehives and water collection systems. In addition to offering a state-of-the-art 24-hour fitness facility, personal trainers are also available upon request, as are complimentary earphones, towels, water and reading materials. 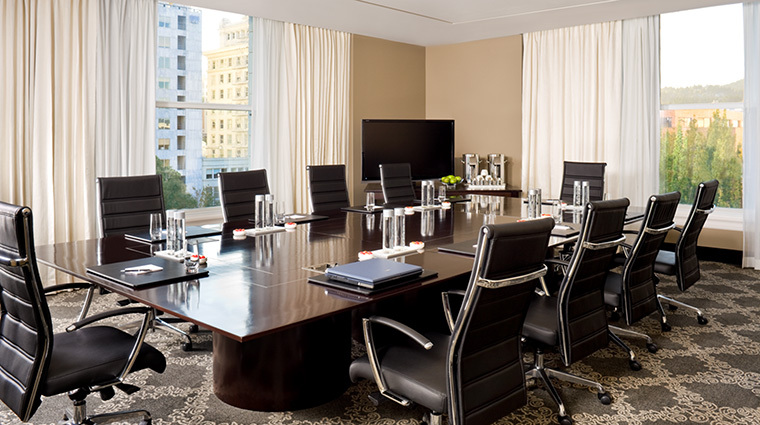 The Club Lounge, available only to those staying on the 12th floor, offers an elegant escape with complimentary food and drink presentations offered throughout the day. The luxurious Portland hotel is pet-friendly, so Fido can stay in comfort too. 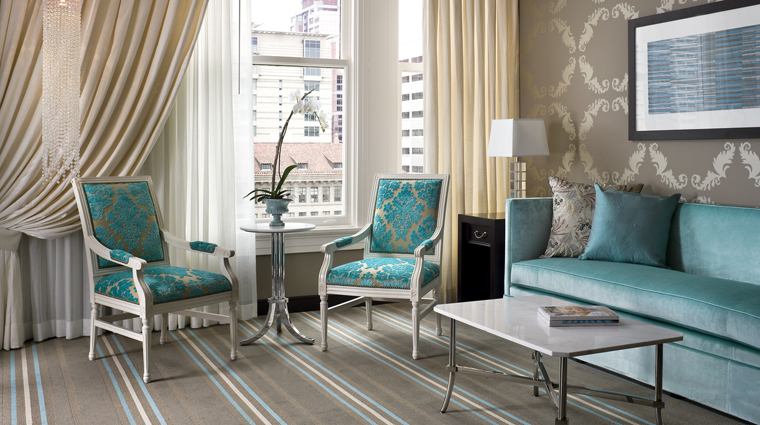 Comfortable and well-appointed rooms feature views of downtown Portland and Pioneer Courthouse Square. 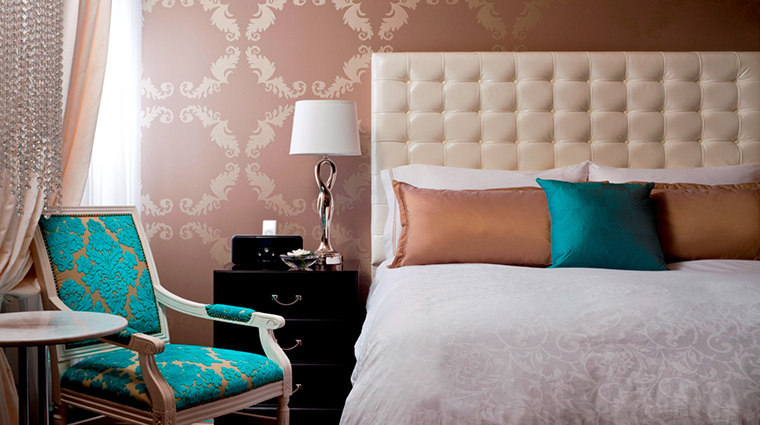 Pops of turquoise complement the metallic and cream color scheme in the contemporary rooms complete with tufted headboards, comfortable beds, flat-screen TVs, iPod docking stations, ample-sized desks and 24-hour room service. 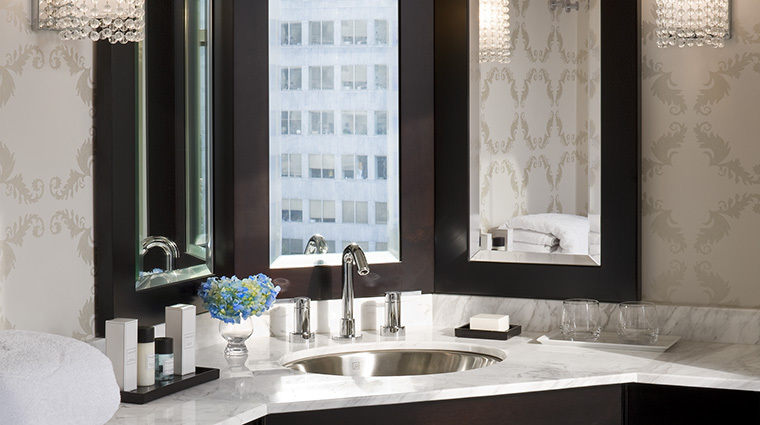 The sleek bathrooms feature the BeeKind Collection of bath and body products from Gilchrist & Soames, marble vanities, chic wallpaper designs and gorgeous light fixtures. Thoughtful touches include a shaving mirror, salon-style hairdryer and cozy terry cloth robes. 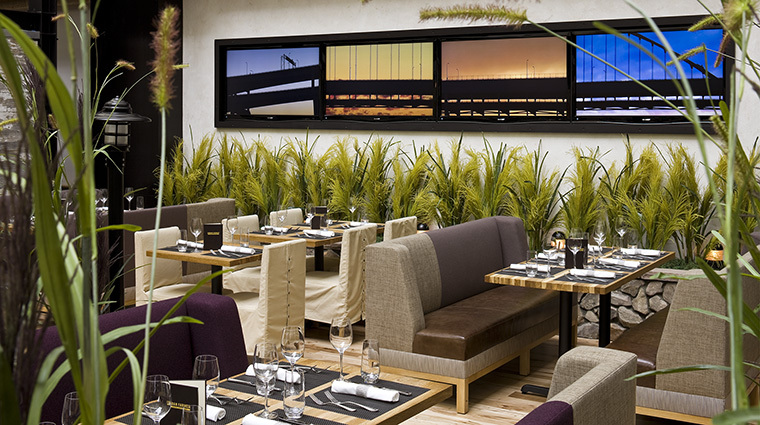 Urban Farmer is in the open atrium of the hotel and boasts warm, sustainable and natural building materials and a creative farm-to-table menu from executive chef Matt Christianson. 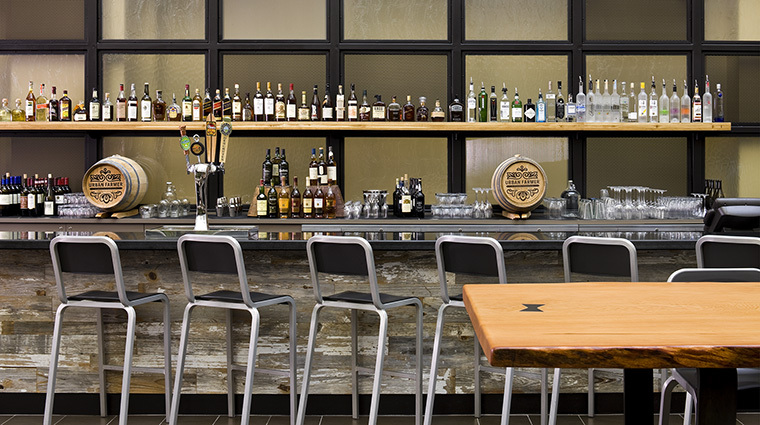 Order brunch (the Highland Oak grass-fed sirloin eggs Benedict and house-made English muffins will have you coming back for more) or make a point later in your day to stop at the bar for a very Pacific Northwest beverage. 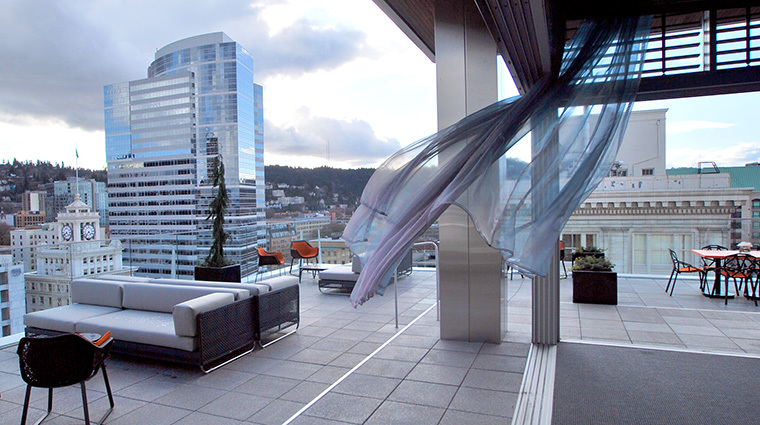 Departure is Portland’s highest open-air rooftop restaurant and bar, located on the 15th floor of The Nines. With views of downtown, the Willamette River, Mt. Hood and Mount St. Helens, this light-filled space offers a long sake list and an incredible dining experience. Fan favorite Top Chef contestant Gregory Gourdet has designed accessible pan-Asian cuisine that takes advantage of the rooftop garden and beehives. Diners are treated to a diverse menu with choices like crispy pork belly, Dungeness crab fried rice and bibimbap.